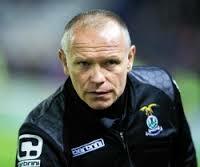 We are delighted to announce the appointment of John “Yogi” Hughes as our new manager. Following a 17 year playing career that included spells at Celtic, Hibernian, Falkirk and Ayr United, Yogi took his first steps into management in 2003 with Falkirk. 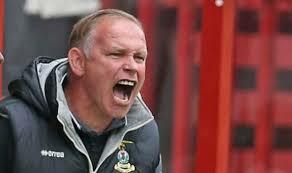 After 6 years in that role with the Bairns, he enjoyed spells at Hibs, Livingston and Hartlepool before famously leading Inverness Caledonian Thistle to Scottish Cup triumph in 2015. 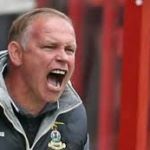 During his managerial career he has led Hibs, Falkirk and ICT into Europe, the latter two for the first time in their history. CEO Eric Drysdale commented, “We are very happy to introduce John Hughes as the man who will take charge for our remaining games this season. It’s only 48 hours since I first contacted John’s agent Raymond Sparkes and it’s been a whirlwind day or two pulling this deal together. 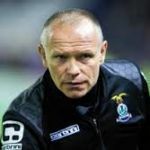 It’s fair to say we are excited to have been able to attract someone of John’s experience and calibre – a man who was voted PFA Scotland and SFWA Manager of the Year in 2015 following significant successes as boss of Inverness Caledonian Thistle FC.